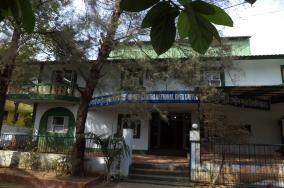 The IGNOU Regional Centre Panaji is located at Alto Porvorim in a leased building which has the facilities like Edusat, Tele-Conferencing and Gyanvani. The Regional Centre Panaji has 6 Districts covering the states of Goa, Karnataka and Maharashtra under its jurisdiction with 22 active study centres. H. No. 1576, Near P & T Staff Quarters, Alto-Porvorim, Bardez, GOA 403521.